Flying in or out of Fort Lauderdale-Hollywood International Airport? Stay at our Fort Lauderdale Airport hotel with a free shuttle for the best experience in comfort and convenience! 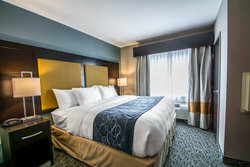 With our spacious and comfortable suites, you’ll feel right at home after a busy day of travels. Enjoy a great night’s sleep in our plush bedding before heading out for your next flight! Take advantage of our convenient hotel amenities during your stay. We offer free Wi-Fi, an outdoor heated pool, fitness center, and business center. Fuel up before your next flight by eating our delicious free hot breakfast! 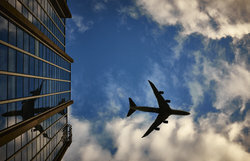 Whether you’re packing light for a business trip or lugging around a few suitcases for your family vacation, enjoy being able to travel with ease – our hotel near Fort Lauderdale Airport with a free shuttle features airport shuttle services from 5 am to midnight. Airport pickup is available from 5 am to 12 midnight from Fort Lauderdale-Hollywood International Airport. After you've picked up your luggage, use the courtesy phone in the baggage claim area to contact the hotel and request a pickup. 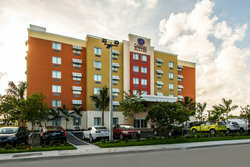 Alternatively, the hotel can be reached at 954-771-4800. For Airport drop off, shuttles leave the hotel on the hour and reservations are required at the time of check-in. Book your stay at our hotel near Fort Lauderdale Airport with a free shuttle today! 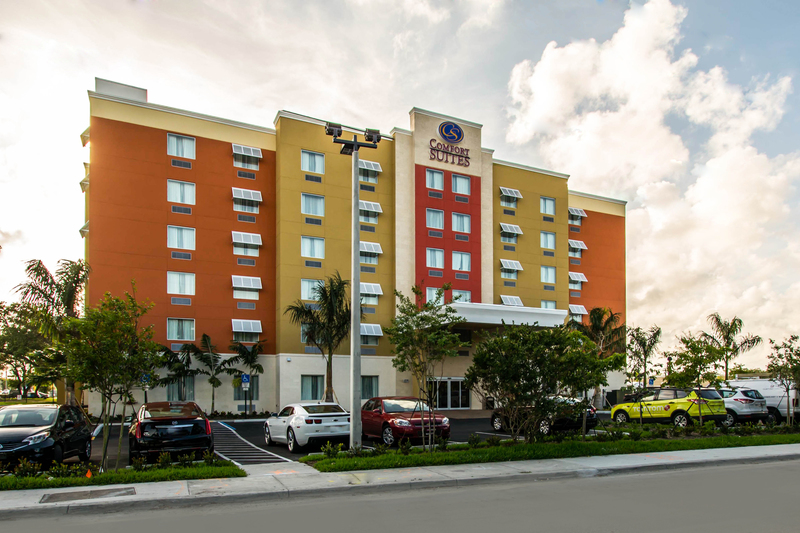 Your comfortable Dania Beach accommodations await.